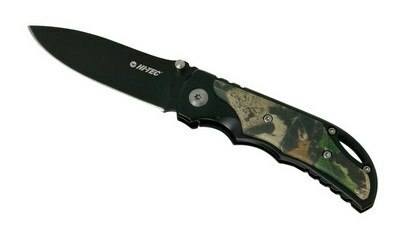 This branded Bullseye Camo Knife is made of lightweight stainless steel and includes a pocket clip. Get the odd jobs done faster and fend off attackers with the multi-purpose Bullseye Camo Knife. Print your company’s logo on the blade or the handle to gain brand recognition. The knife is made of lightweight stainless steel and includes a pocket clip and lanyard hole. This ensures that the knife is easy to find and does not accidentally slip out of pockets. This multi-purpose knife has several grip points for easy handling. Showcase this knife at campsites, hiking trails, fishing and hunting grounds for better brand visibility. 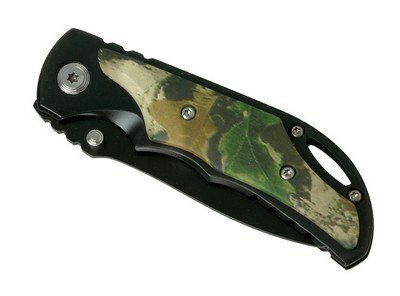 From fishing to self-protection, utilize this Bullseye Camo Knife to assist you in a variety of day-to-day activities.